Sometimes, the layout of a Timeline view causes item labels to overlap. There are a few ways to avoid this. 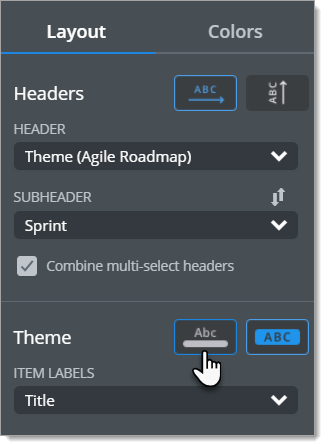 If you've selected the Condensed theme for your Timeline, switch back to the Original theme. To see how, go to Format a Timeline's layout and colors. Use the Timeline's time slider to zoom in and adjust the time scale to a shorter range. To see how, go to Customize the time pivot in a Timeline. Drag an overlapping item up or down in the Timeline and drop it onto the newly created stream. To see how, go to View and edit item details.